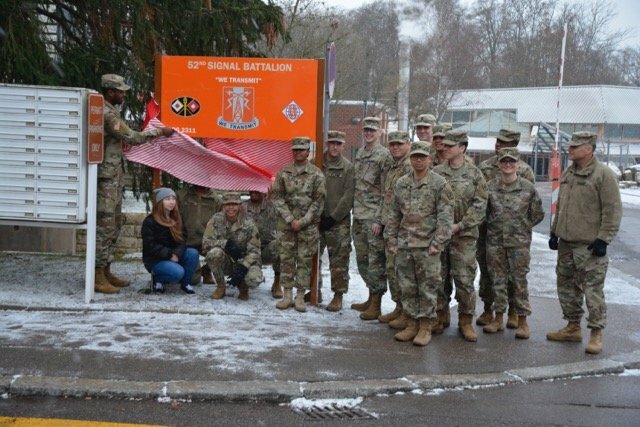 Barracks dwelling Soldiers of the 52nd Signal Battalion, plus some sister service members, recently took charge of their Patch Barracks quarters from the Installation Management Command-Europe, in a brief ceremony. 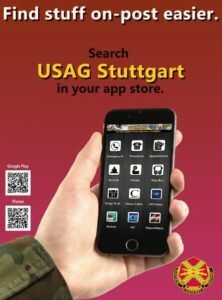 This is the first transfer of responsibility for USAG Stuttgart. The ownership of Bldg. 2311 is now under the control of the unaccompanied Soldiers, Sailors, Airmen and Marines who reside within. Tia said the service members were going back to basic fundamentals by managing their own living quarters. Senior NCOs and petty officers stand with residents of the barracks. Control was transferred to the units from IMCOM as part of the ABMP. Since the majority of residents are part of the 52nd Sig. 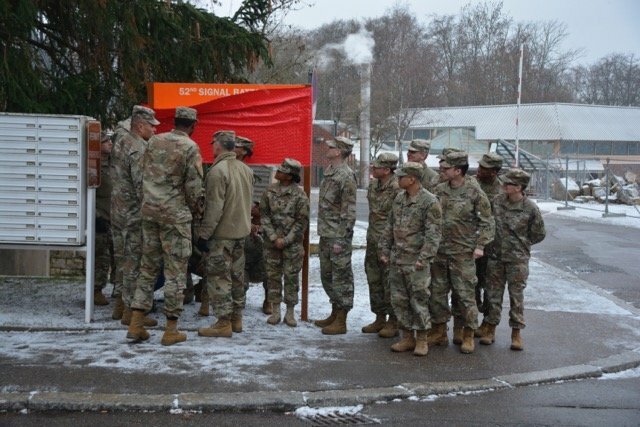 Bn., two special signs in Signal orange were unveiled to give pride in ownership. Multiple units residing in the same building has challenges for various responsibilities, such as charge of quarters, due to varied schedules and missions of those units. One command will be responsible for the barracks so there’s a “go-to” person is something is not in compliance. The only barracks building in the garrison footprint currently occupied by a single unit is that of the 554th Military Police, Ryan said. The 52nd Signal has a wide variety of military occupational specialties working different schedules. The mix of residents could include Army Reserve and National Guard Soldiers on extended assignments, adding to the complexity. Keeping common areas in order or organizing “GI” parties is another challenge. 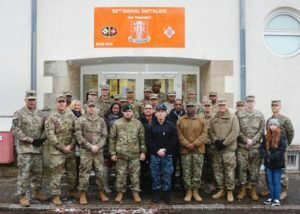 According to U.S. Army Europe, units taking control of their barracks will establish inspection programs, train noncommissioned supply officers how to inventory and manage supplies for barracks. The intent of returning control of the barracks to the units is to increase readiness, to maintain the health and welfare of the Soldiers who live there, and to instill pride, esprit and discipline within their formations. USAREUR and Stuttgart are well-ahead of the ABMP curve; the transfer of Bldg. 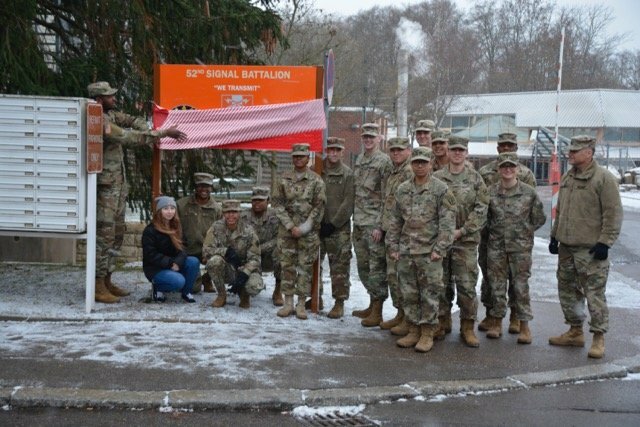 2311 met a USAREUR transfer deadline of Dec. 1, while the Army directed the transfer to be completed by the end of July 2019.